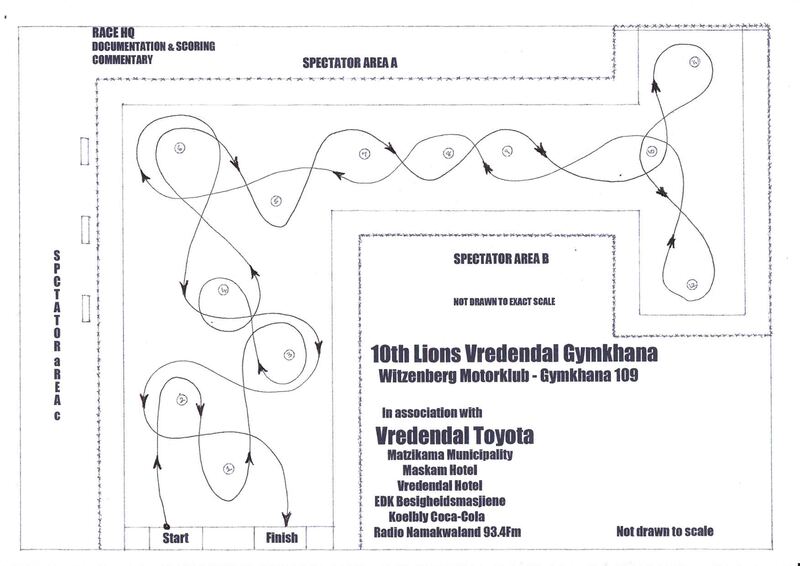 The 10th Lions Gymkhana Vredendal is now set for Saturday 17 October 2015 as round 7 of the 2015 Witzenberg Gymkhana Championship. The 109th Witzenberg Motorklub Gymkhana in total set to be a completely different challenge as October should be very hot in the Matzikama. The 10th Lions Vredendal Gymkhana was hot in more than one way. With temperatures up to 34ºC and nowhere to hide the 38 teams present had their work cut out to remain cool as the easy to memorise route proved to be pretty challenging on the limit.